Located along Cincinnati's eastern border, the RED is an innovative, upscale community at the crossroads of Oakley, Hyde Park, and Madisonville. 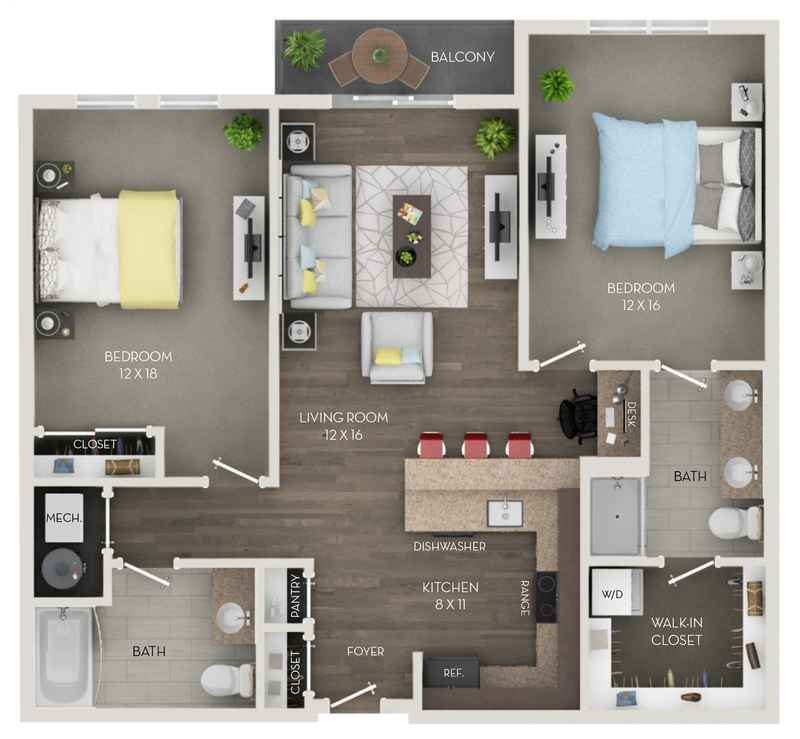 With 8 unique styles of studios, one, and two bedroom apartment homes, and secured parking, the RED is sure to please downtown commuters and Cincinnati newcomers. Easy access to top shopping, award-winning schools, and the best dining. Unsurpassed amenities, such as 2 fitness centers, pool, clubhouse, and 3-acre Dog Park ensure residents find the perfect balance between work and play. 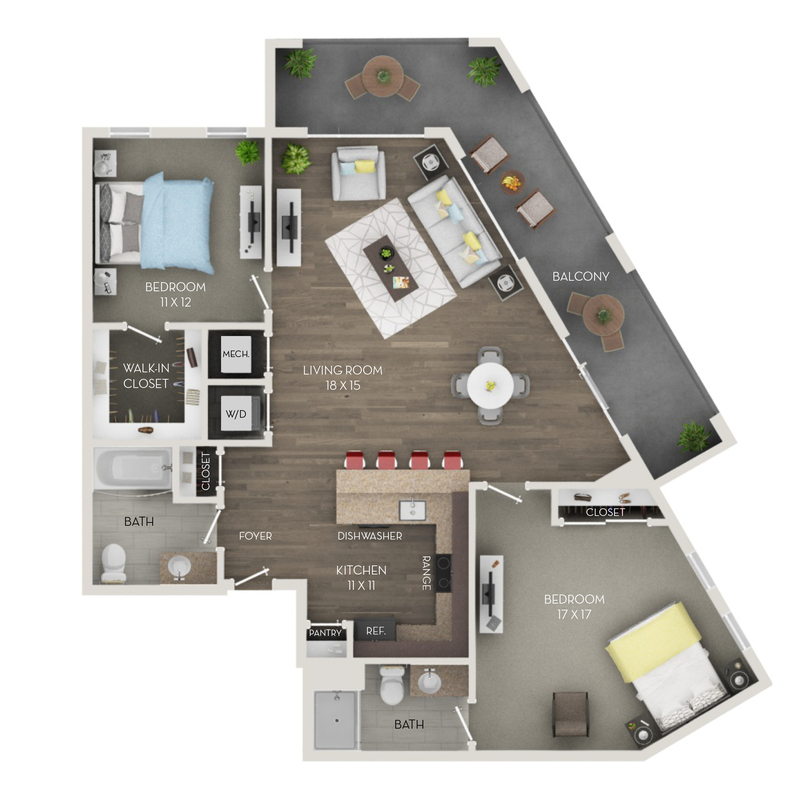 Apartment homes have oversized windows to let the light in, 9 and 10 foot ceilings, and luxurious finishes. Residents can choose a style that matches their taste, with interiors that feature slate or espresso cabinetry, black or stainless steel appliances, crystal glass pendant lighting, and wood-style flooring. It's your lifestyle with a smile. Ready to make the RED your home? Contact us today for additional details.